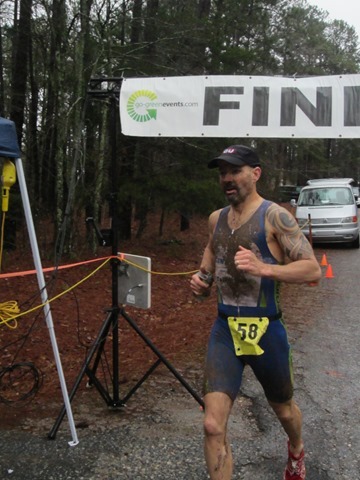 Raced XTERRA Hickory Knob last weekend. It was very, very wet and muddy out. The trails took a beating and so did the racers. 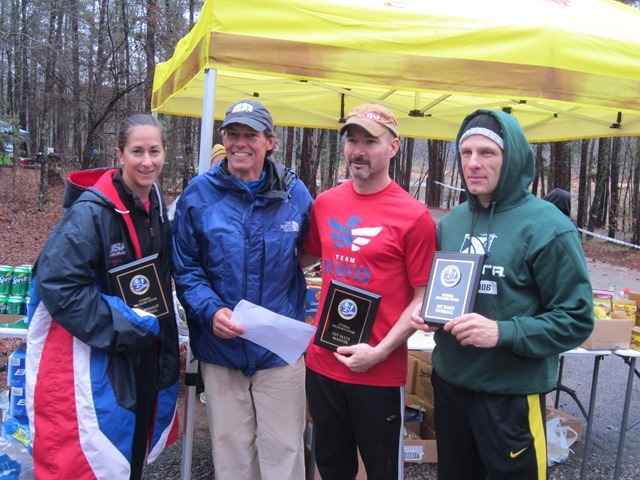 I managed to squeeze out second overall and since El Capitan Dano was in front of me, he not only took first, but took the max points for our age group. 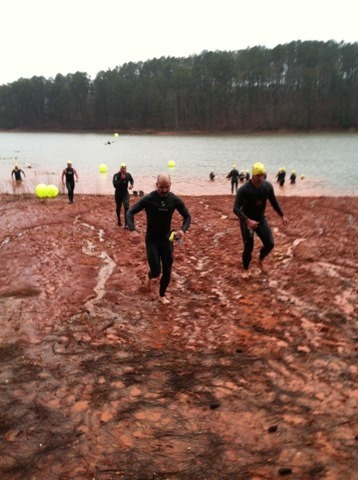 Swim was shortened due to the frigid ~60 degree water temp. I will be attempting to contact some of the local mountain bikers and SORBA chapter to see if we can get a trail maintenance day out there. 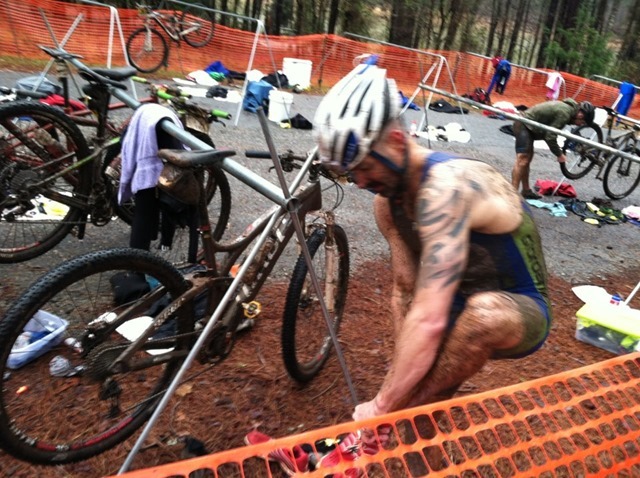 Any of you fellow XTERRA racers that raced should come out and help. We want to put these trails back into as good of a condition as we can.